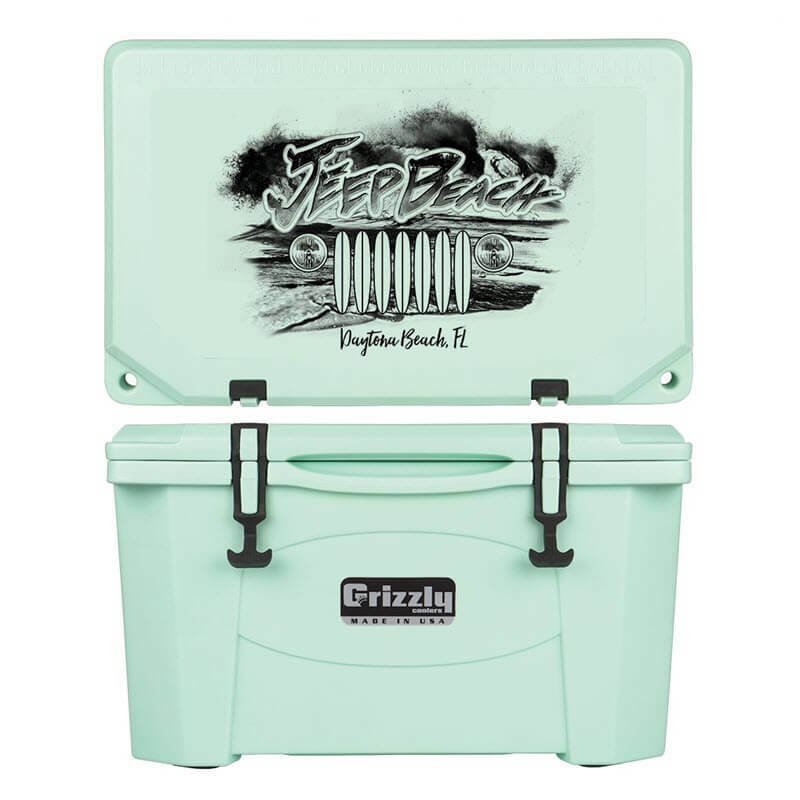 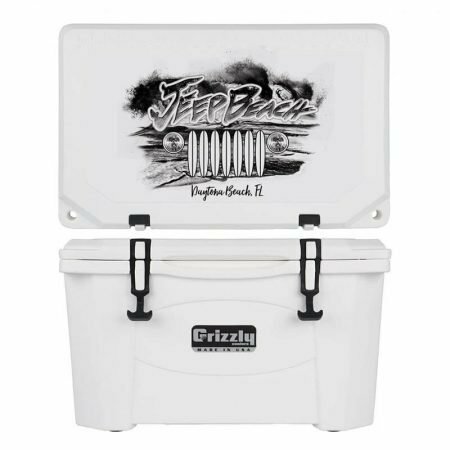 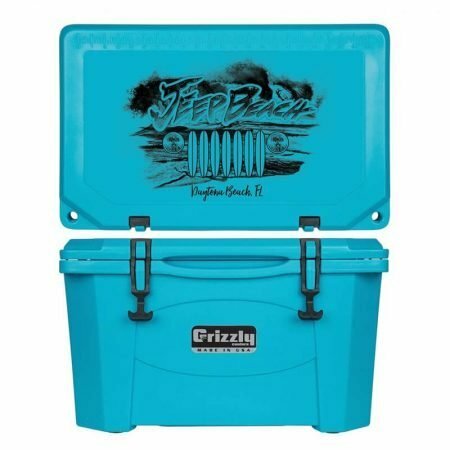 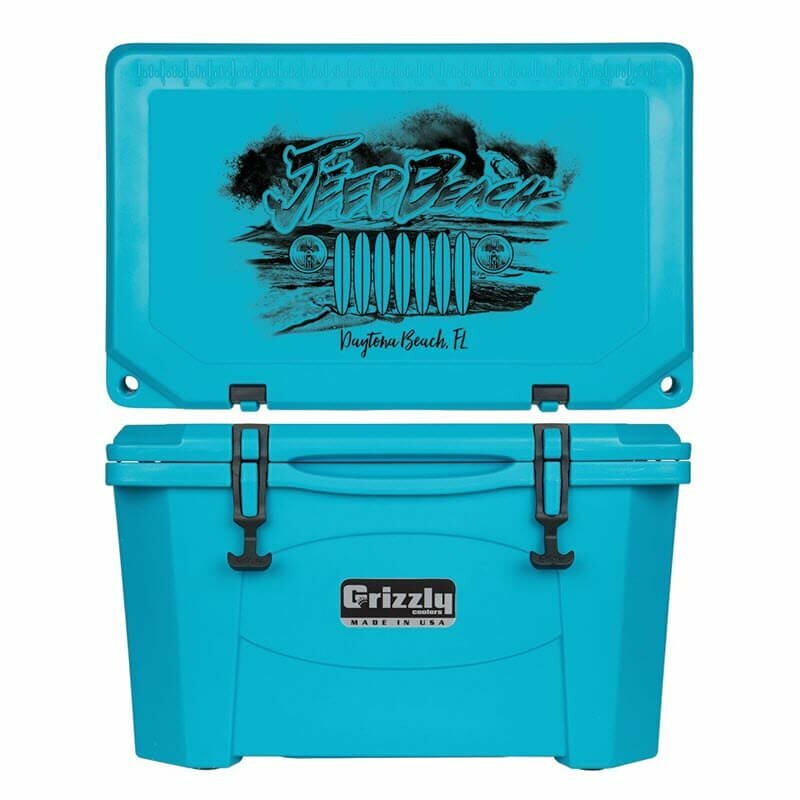 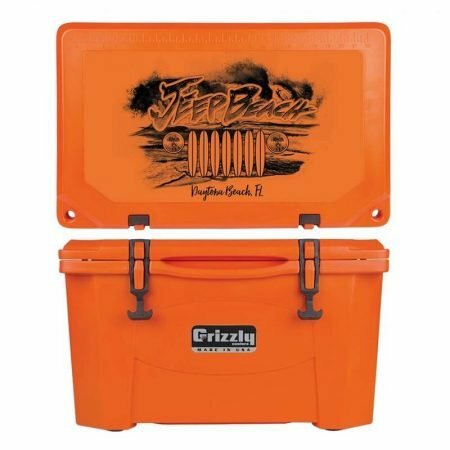 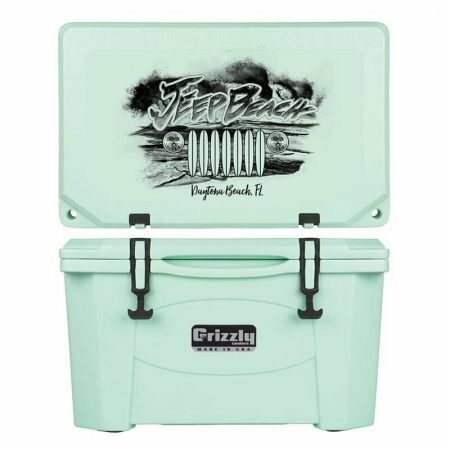 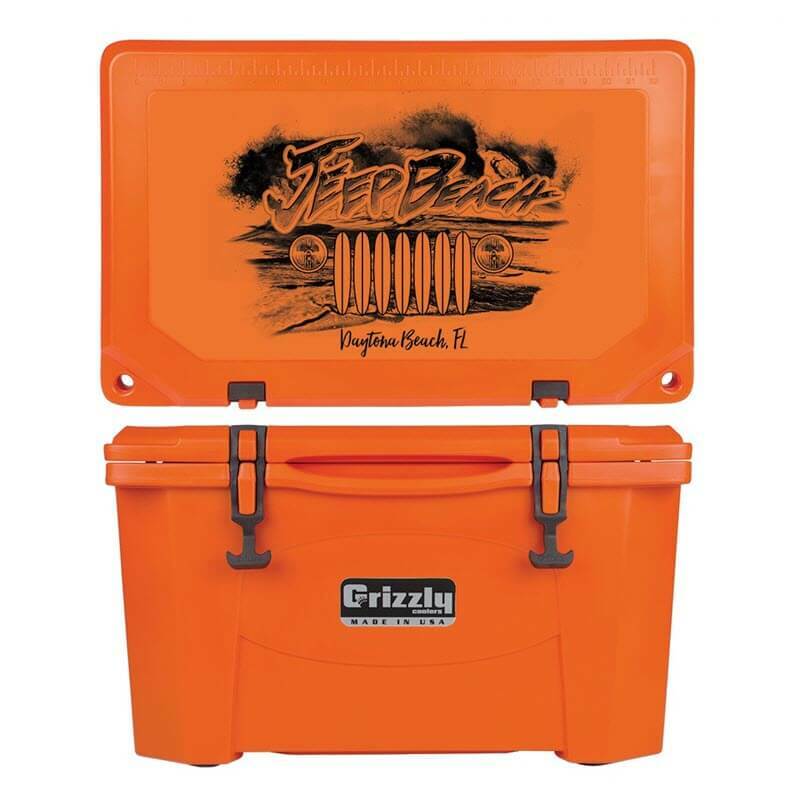 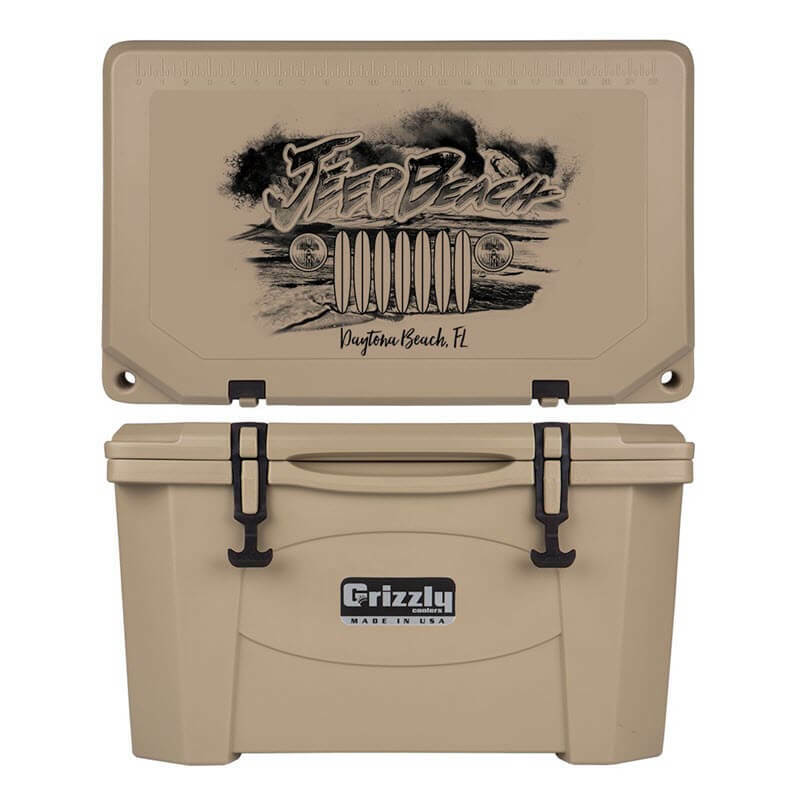 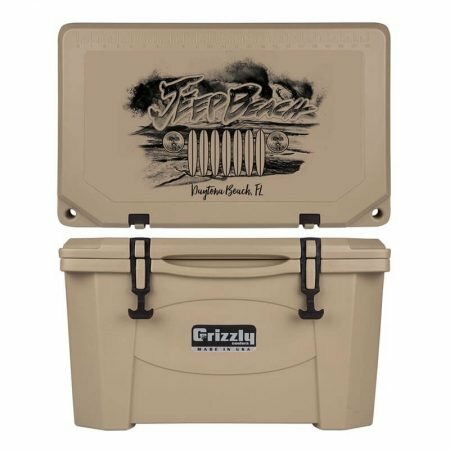 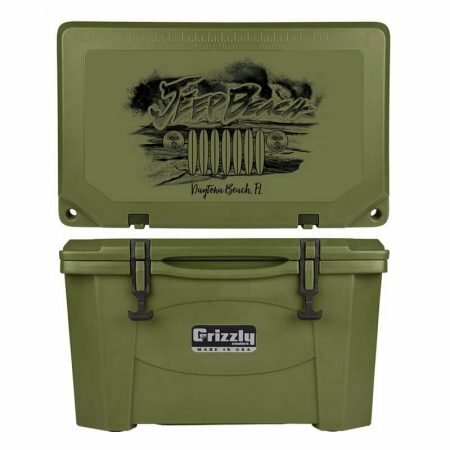 Grizzly Coolers have a Remi-Grip Adhesive graphic on top. 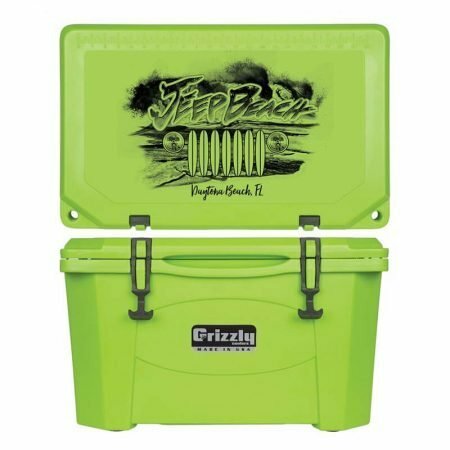 Super durable, doesn’t peel. Colors may differ slightly from actual imagery shown. Lifetime Warranty and Manufactured in the USA. 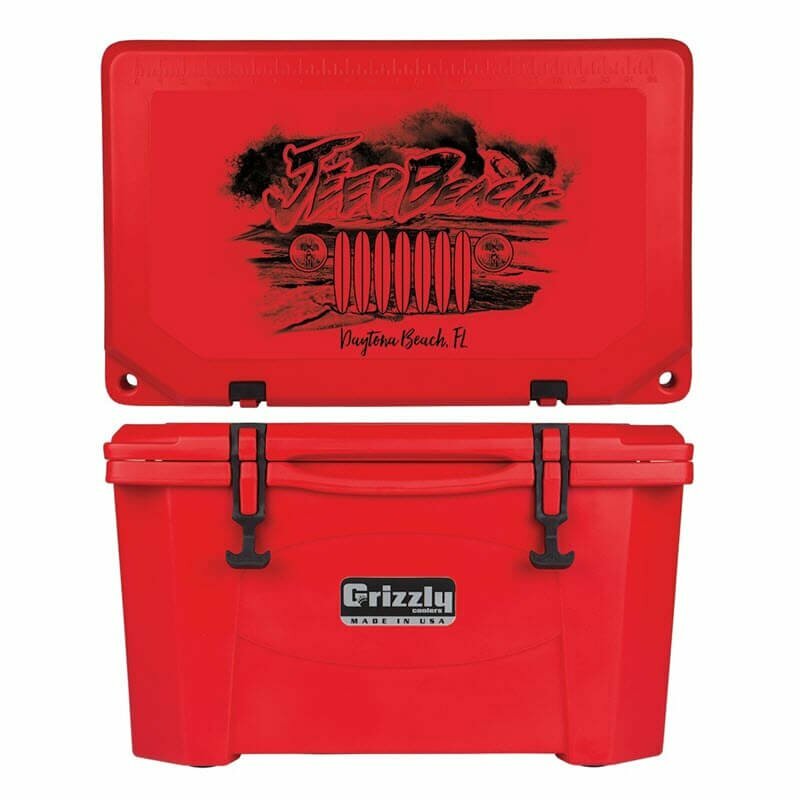 Grizzly Coolers is proud partner of Jeep and FCA.